Professor Beezer received his BS from University of Santa Clara and MS and PhD from University of Illinois. 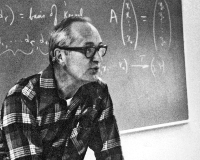 He teaches calculus, algebra (linear and abstract), combinatorics and cryptography. 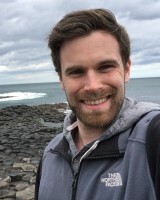 His research interests are primarily in graph theory (especially regular graphs and algebraic graph theory), but is also interested in combinatorics as a whole. 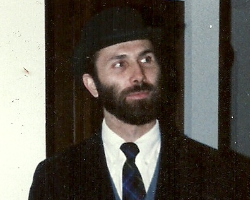 Professor Beezer has been teaching at Puget Sound since 1984. 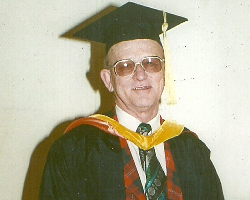 Professor Bernhard received his BA degree from Princeton University and a PhD degree from Harvard University. Professor Bodine received BS degrees in Mathematics and Physics from the University of Ulm, Germany. She earned a MA degree in Mathematics from San Diego State University, a Diplom (MS) in Physics from the University of Ulm, and a PhD in Mathematics from the University of Southern California. 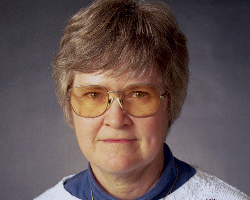 She teaches calculus, linear algebra, and upper-division courses in analysis. Her research interests include differential and difference equations as well as in time scales. She has been at Puget Sound since 1998. Professor Jackson received a BS degree from the University of Puget Sound in 1984, and his MS and PhD degrees from the University of Oregon in 1985 and 1990, respectively. His area of research is differential geometry. 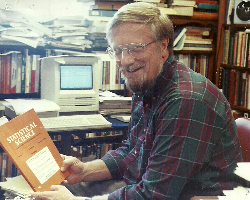 Professor Jackson has been teaching at Puget Sound since 1990. 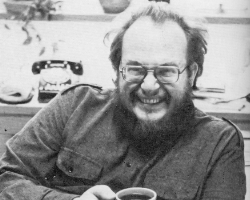 Professor Richards holds BA degrees in Physics and Computer Science, an MSc in Computer Science, and earned his PhD in Computer Science from the University of Wisconsin — Madison, where his research was on custom memory-system support for distributed shared-memory parallel computers. 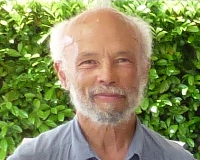 In addition to his continuing work on parallel and distributed computing, Dr. Richards is active in Computer Science education, having authored numerous papers on pedagogy and curricular issues. He has been teaching at Puget Sound since 2005. Professor Spivey earned a BS from Samford University, an MS from Texas A&M University, and an MA and a PhD from Princeton University. He works in operations research and combinatorics. Professor Spivey has been teaching at Puget Sound since 2005.
the Ohio State University. He teaches courses in the introductory computer science sequence, database systems, high-performance computing, and operating systems. David's research interests include issues in distributed & cloud computing, and large-scale data management. He joined Puget Sound in Fall 2014. Professor Chambers earned her BA in Mathematics and Computer Science from Swarthmore College and her Masters and PhD in Computer Science from the University of California, Irvine. Her research interests include machine learning, natural language processing, and statistical models of text. She has been with Puget Sound since 2015. 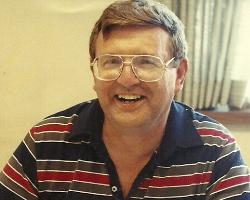 Professor Price received BA degrees in Mathematics and Physics from Kalamazoo College and an MS and a PhD in Applied Mathematics at the University of Washington. His interests are in scientific computing and multiscale simulation methods, as both a practical and theoretical tool. Almost any system of interest to scientists, in biology, chemistry, physics, or pure mathematics, can be understood at more than one scale of detail. He studies how these disparate scales interact with and inform one another. He will begin teaching at Puget Sound in 2018. Professor Smith is from Portland, Oregon. He earned his BA in 1999 from Lewis and Clark College, and his PhD in 2009 from the University of Wisconsin, Madison. He teaches courses in artificial intelligence, algorithms, and bioinformatics. 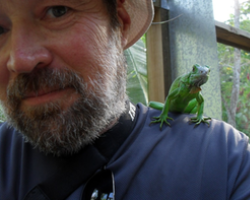 His research interests are in modeling biologically-significant time series, from gene expression profiles to mouse ultrasonic vocalizations. He has been with Puget Sound since 2013. Professor Thatcher received her BA from Boston University and MS and PhD from the University of Chicago. Her research interests are primarily in algebraic and geometric topology, computational topology, and large data set analysis. She has been with Puget Sound since 2014. Wendy received her BS and MAT from the University of Puget Sound. She has taught introductory mathematics and statistics for over 15 years. In addition, she has worked in institutional research, in actuarial science, in benefits consulting, and as a computer programmer. She has been at Puget Sound since 2013. Alison earned her BS in Mathematics and Economics (with minors in Computer Science and French) from Puget Sound in 1982, and her MS in Mathematics from Washington State University in 1988. 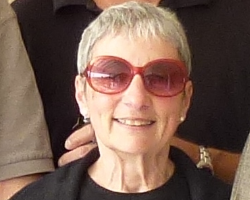 She has been teaching introductory mathematics and statistics courses (and some introductory Computer Science) for about 30 years. 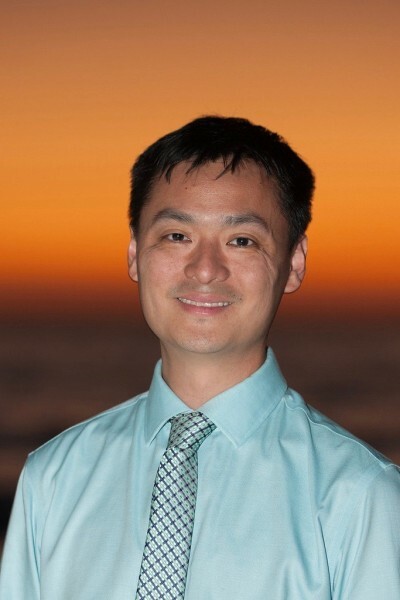 Erik earned his BS in Mathematics from Cal Poly Pomona and an MA in Mathematics from San Diego State University and a PhD in Mathematics from Ohio University. 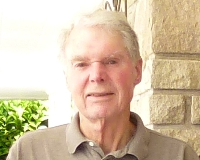 His research interests include algebraic coding theory and finite ring theory. He will begin teaching at Puget Sound in 2018. Brian received his BS, MS, and PhD in Mathematics from Brigham Young University. He has been teaching math and statistics courses since he was an undergraduate in 2006. His research interests include fractals and regular languages.